I'm a volcanologist/petrologist and I teach classes on the rocks and minerals that make up the planet, along with the magmatic processes that lead to volcanic eruptions. I’ve been fascinated by geology since I was young, either with the vast mineral collection my grandmother in Massachusetts had collected or with the vistas of Nevado del Ruiz from my grandparents home in Colombia. Every rock (or crystal) does tell its own story, and that is what geologist do: unlock the history recorded in the rocks. That is how I like to teach geology – by looking at the process the created the rock and then how we see the record of that process imparted on the physical and chemical characteristics of the rocks and crystals. In that way, geology tells us about the dynamic events that have created the Earth and will change the planet far into the future. I am also interested in how humans interact with geology, specifically how we alter the surface environment when exploiting the multitude of resources within the Earth. If you’re interested in any of these topics, contact me via email or on Twitter (@eruptionsblog). My research focuses on volcanism and magmatism, both modern and ancient. I examine these processes by looking at the information recorded in crystals erupted in lavas and ash. By measuring the ratios of radioactive isotopes in these minerals, you can answer questions about the timescales of magmatic processes at volcanoes, such as how long it takes to generate a body of magma, how long can you store magma in the crust and what are the rates of eruptions during the lifetime of a volcano. All of these questions lead us to a greater understanding of what happens under a volcano before an eruption. Currently, I have active research projects at Lassen Peak in northern California, Mt. Hood in Oregon, and Mineral King in the central Sierra Nevada. I have had students work with me on these research projects, leading to presentations at major geology meetings and co-authorships on research papers. If you’re interested in working with me, send me an email. I also strongly believe in making science accessible to the general public. To that end, I write a blog on geology called Rocky Planet. I distill the sometimes-disparate information out there about the geology of Earth (and other planets) so that anyone can understand why it is so exciting. The blog is visited by thousands of readers a day that vary from casual readers to seasoned geologists. This work has lead me to be part of Denison’s Narrative Journalism concentration and have students interested science communication work with me to hone their skills and explore how to write compelling science. Klemetti EW, Lackey JS, Starnes JK*, 2014, Magmatic lulls in the Sierra Nevada captured in zircon from rhyolite of the Mineral King pendant, California: Geosphere. Guest appearance about baseball and geology on the FanGraphs’ Effectively Wild podcast. Klemetti discusses how a major eruption could impact teams like the Seattle Mariners; what climate impacts of an eruption might be; and what it might be like for a new MLB team to try to play in Mexico City, where earthquakes and eruptions are common. Volcanologist and geology prof. Erik Klemetti commented on the processes that unleashed a devastating tsunami in Indonesia. Geosciences prof Erik Klemetti is a renowned vulcanologist — his expertise is being called on as the Kilauea volcano erupts. Geology professor Erik Klemetti, also a world-renowned vulcanologist, commented on the eruption of Mount Agung on the Indonesian island of Bali. In a Wired blog, Geosciences Professor Erik Klemetti extolls the benefits of geology. Earth Observatory website checked in with Erik Klemetti, associate professor of geoscience, about a possible eruption on Mount Meru in Africa. 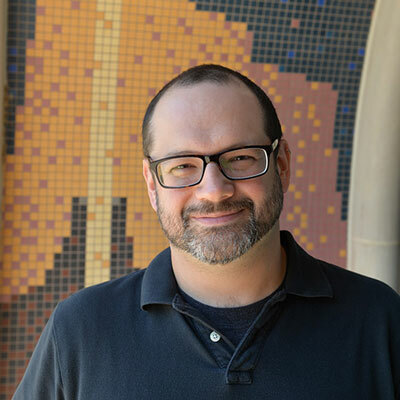 Erik Klemetti, assistant professor of geosciences at Denison, was quoted in a New York Time article on volcanology. Erik Klemetti, geosciences faculty, explains how volcanoes can create toxic gas. "The sulfur is what causes most of the respiratory issues," Erik Klemetti, a geoscientist at Denison University in Ohio, told VICE News. Geosciences faculty Erik Klemetti vocalizes on a Mexican volcano. Erik W. Klemetti explains that the Colima volcano shoots out sticky lava when gases trapped inside new magma collect, causing pressure to build. Erik Klemetti, assistant professor of geosciences, discusses his passion for volcanology in the Columbus Dispatch. Erik Klemetti's work has taken him to Lassen Peak in CA, the Okataina caldera complex in New Zealand and Aucanquilcha in Chile, all active volcanoes.